Brandeis is a member of the National Collegiate Athletic Association (Division III) and competes in 19 intercollegiate sports through the Eastern College Athletic Conference and the University Athletic Association. 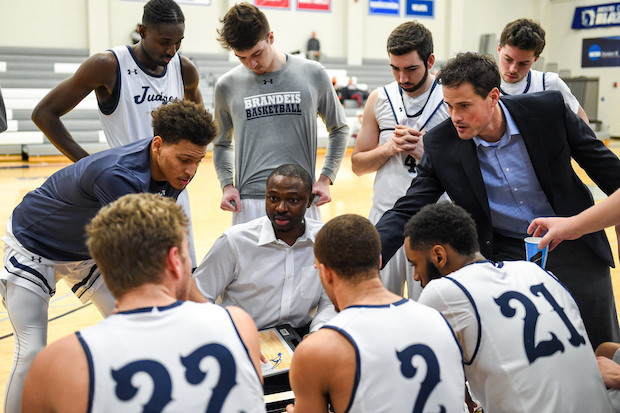 Brandeis posted a 70-62 victory over Rutgers-Newark to claim its fourth Eastern College Athletic Conference crown. For the Judges, the win capped a 2018–19 season in which they surpassed the program’s highest single-season win total since 2013 with an 18-11 record.